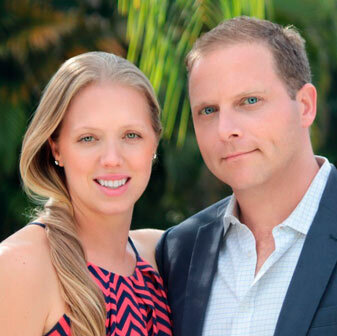 Together, Toma and Rebecca bring 20 years of residential real estate experience and have represented buyers and sellers in transactions in excess of 300 million dollars. They attribute their success to superior personal service, extensive experience, a broad international network, marketing savvy and sharp negotiation skills. Toma and Rebecca believe that understanding the needs of a client and walking... more. them through every step of the process, whether they are buying or selling their primary home, a vacation home or an investment property, is paramount to providing the highest level of service. This informed, pressure-free approach is appreciated by everyone they work with. Toma and Rebecca understand that real estate is one of the most important financial investments one can make and approach every transaction with the highest level of care. They are dedicated to achieving the best results on behalf of their clients and are always willing to go the extra mile. After visiting the Gulf Coast for several years, Toma and Rebecca, along with their two young children, decided to make Lakewood Ranch their permanent home. Rebecca and Toma believe strongly in giving back to the community and are involved with and support several local organizations including Selah Freedom, Habitat for Humanity, Mote Marine Laboratory, Nate’s Honor Animal Rescue, the Police Athletic League of Manatee County, Big Brothers and Big Sisters of the Sun Coast, Mothers Helping Mothers and the Boys & Girls Club of Manatee County. Born and raised in New York, Toma joins Michael Saunders & Company with a wealth of real estate experience. Toma began his real estate career while studying at the University of Western Ontario where he bought, sold and managed several investment properties. He soon established himself in Manhattan’s real estate world after joining Edward Lee Cave, a boutique luxury real estate firm. He later joined Brown Harris Stevens where he made a name for himself as a top agent by achieving record prices for many of his clients. He has represented Fortune 500 clients and has a large network of international clients. Mixed with Toma’s intense work ethic is a softer but equally genuine appreciation for beauty and aesthetics. Having worked as a gallery manager for an acclaimed Manhattan gallery he is accustomed to fine art. It is undoubtedly this synthesis of talents that has fostered his success in the competitive real estate industry. Before joining Michael Saunders & Company, Rebecca worked for Brown Harris Stevens, one of New York's premier luxury real estate firms. There she represented buyers and sellers across Manhattan. Separately she worked as an advisor/project manager overseeing high end home renovations. Rebecca gained the respect of her colleagues and her clients with her attention to detail, up-to-date knowledge, dedication to hard work and her patient demeanor. Prior to entering the world of residential real estate, Rebecca built a successful career in Marketing where she managed the accounts of several high profile clients including Citibank and Hewlett Packard. As an Account Manager she worked with her team to create marketing campaigns based on solid consumer insights that delivered measurable results for her clients. Rebecca brings this marketing savvy to every real estate transaction to maximize exposure and ensure the best results for her clients. Originally from Toronto, Canada, Rebecca moved to New York after graduating from the University of Western Ontario where she earned a Bachelors degree in Administrative and Commercial Studies. ...less.